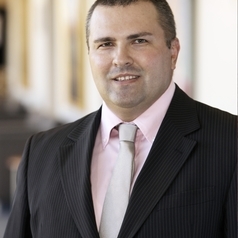 Dr Alexey D. Muraviev is Associate Professor of National Security and Strategic Studies at Curtin University, Perth, Western Australia. He is the founder and director of the Strategic Flashlight forum on national security and strategy at Curtin. He has published widely on matters of national and international security. His research interests include problems of modern maritime power, contemporary defence and strategic policy, Russia’s strategic and defence policy, Russia as a Pacific power, transnational terrorism, Australian national security, and other. Alexey is a member of the Australian Member Committee, Council for Security Cooperation in the Asia-Pacific region (AU-CSCAP); non-residential fellow, Sea Power Centre Australia (Royal Australian Navy), member of Russia-NATO Experts Group; member of the International Institute for Strategic Studies, London; reviewer of the Military Balance annual defence almanac; member of the executive advisory board, CIVSEC 2018 international congress and exposition, member of the Advisory Board, Australia Public Network, member of the Research Network for Secure Australia, and other organisations and think tanks. In 2011, Alexey was the inaugural scholar-in residence at the Australian Strategic Policy Institute. He advises members of state and federal government on foreign policy and national security matters and is frequently interviewed by state, national and international media.